This weekend you can find Xûr hanging out at the Giant’s Scar, Io. View more vendor/activity details, news, and more below. 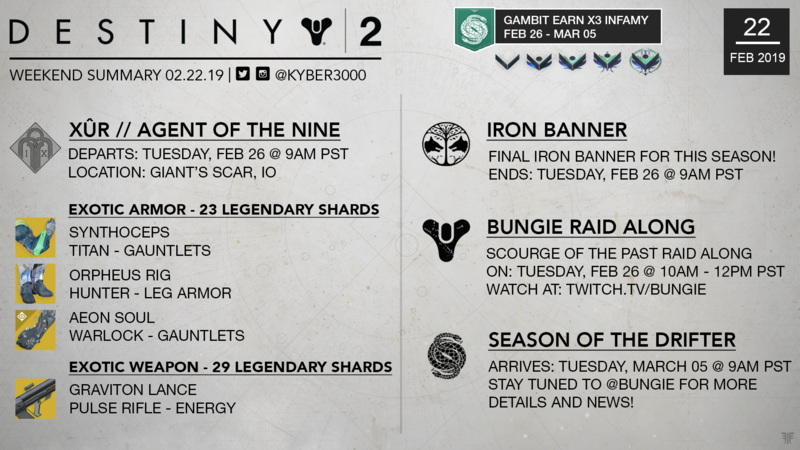 The Final Iron Banner of this season is live until the weekly reset on the 26th. Earn Triple Infamy in Gambit from Feb 26 – Mar 05. Supremacy returns Tuesday, Feb 26. COMING SOON… Season of the Drifter arrives on March 5th!! 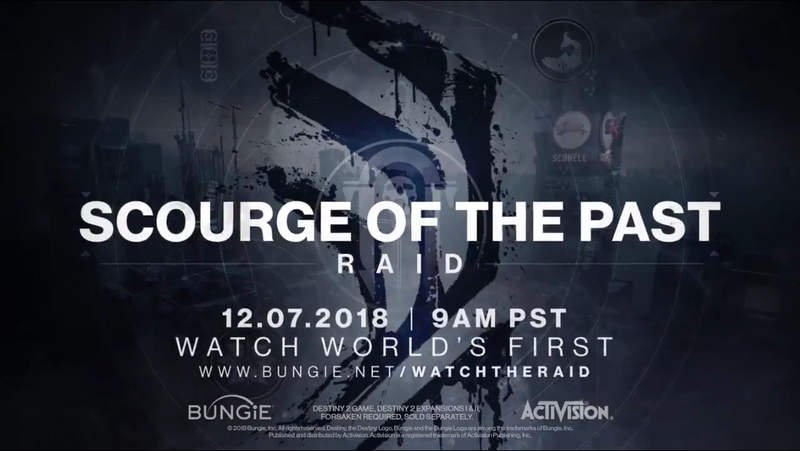 Destiny 2. XUR LOCATION & EXOTIC LOOT! February 22, 2019. (GREAT ROLLS!) 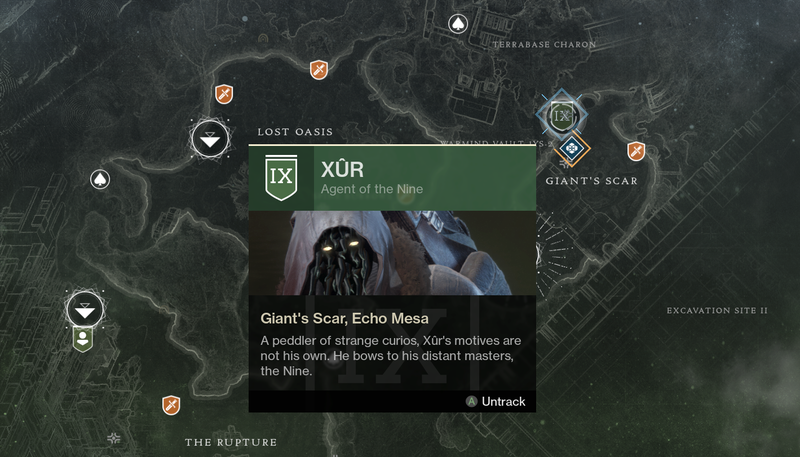 Where is Xur 2-22-2019? by Mesa Sean << Click link to subscribe for more Destiny 2 videos! This is the final Iron Banner for the Season of the Forge, as well as your last chance to collect the Iron Fellowship armor set before this vendor is refreshed next season. The Crimil’s Dagger Hand Cannon and Hero’s Burden SMG will continue to be available next season as post-match drops and rewards from Saladin. Make sure you turn in all of your completed bounties before the end of the season. When the Season of the Drifter begins, they will be removed from your inventory. Your Iron Banner tokens will persist into the next season. Good luck out there, Guardians! SEASON OF THE DRIFTER – LAUNCHES MARCH 5TH!! Robbie: As we build on the Gambit theme in Season of the Drifter, we want to make sure to address some of the top feedback items for the base activity. Below is a sneak-peak of changes we’ve made based on the community’s feedback. Expect more details and additional quality-of-life changes for Gambit when Season of the Drifter drops on March 5.